Do you have a love for film and want to help a great organization? We are in need of volunteers to help us prepare for the 2019 Austin Film Festival & Conference, October 24 – 31. Each year, the enthusiasm, commitment and hard work of volunteers enable the Festival to pursue its mission of celebrating the writer at the heart of the process of filmmaking. As a volunteer, you’ll get the opportunity to immerse yourself in such varied departments as registration, theater operations, conference, hospitality and transportation, all while working with a wonderful staff. Please feel free to give us a call at 512-478-4795 for more information. Have more time to spend? Check out the many internship opportunities that Austin Film Festival has to offer. Check out some of our volunteer positions! Overall Job Description: The projectionist would be responsible for the successful presentation of films throughout the week of the Festival. Additional duties include quality checking films and conducting technical checks. – Must have some experience with digital projection. – Working knowledge of digital formats. – Working knowledge of standard film aspect ratios. – Patience and ability to remain calm under pressure. – Projecting digital film files to their utmost quality and monitoring the entire presentation from start to finish, ensuring said quality throughout the screening. – Conducting pre-screening technical checks with filmmakers to ensure outstanding picture and audio quality. – Attending equipment tests and installs at AFF venues. – Quality checking films at the AFF office in the weeks leading up to the Festival. – Communicating with the Festival Production Manager throughout the Festival and providing quality communication and professional service to our Festival filmmakers. 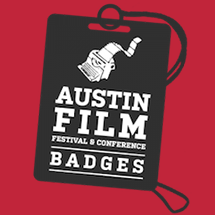 Email your resume, along with references and a cover letter, to productionmanager@austinfilmfestival.com. COMPENSATION: A Weekend Badge for new Theater Managers (with the ability to work hours prior to the Festival for a higher level badge); A Producer’s Badge for returning Theater Managers. While working for this critically recognized organization, applicants are expected to work efficiently and professionally in a fast paced, team-oriented environment. Excellent communication and organizational skills and the ability to work well under pressure are a must. The Theater Manager is responsible for managing a team of AFF volunteers, executing all AFF line and Front of House policies in an orderly and timely manner, ensuring crowd control and a smooth screening. Act as point person for moderator when they arrive, giving them all necessary script materials. Shifts will be scheduled in advance for the week of the festival. Prior to the week of the festival, two mandatory trainings and a walk-through of the assigned venue must be attended. The walkthroughs will be scheduled two weeks before the festival. Volunteering with Austin Film Festival is a unique opportunity to work hard, gain valuable event management experience, earn community service hours, network and have fun while supporting the mission of a pioneering nonprofit organization dedicated to championing the work of aspiring and established writers, filmmakers, and all artists who use written and visual language to tell a story. For more information, please contact the Volunteer Coordinator at volunteer@austinfilmfestival.com or 512-478-4795.